The fully automated Cardale Thermaglide 77 is available in a range of colours and widths. 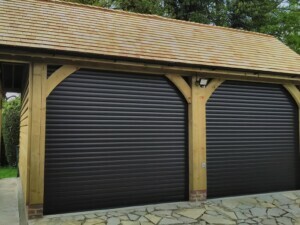 There is also the option to add vision slats. 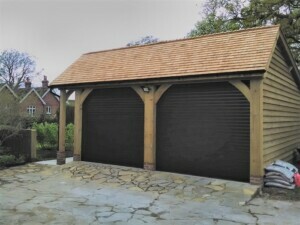 The Thermaglide is insulated preventing the cold from entering and the heat escaping – ideal for those using their garage as a workshop. The Thermaglide is even capable of withstanding a hurricane! 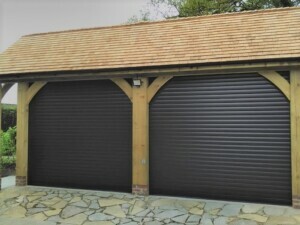 These garage doors have been manufactured in the customer’s preferred colour ‘Mocca Brown’ complimenting the wooden structure of this car barn.